The nature versus nurture argument has going on forever, with some finding nature, our genetic make-up, to have greater influence on personality, learning and individual abilities than nurture, or the environment around us. Psychologists, philosophers, doctors and educators all have weighed in on which has dominance, but the debate still goes on. There is still to be a determination on whether nature or nurture reigns. I know it’s supposed to matter, but really, what matters to me is how to help our environment conducive to happy toddler behavior – and me staying sane. The environment encompasses all things around the individual that has influence or offers an impression. Young children are greatly inspired and motivated, as well as deterred, by the environment around them. Not only does this include how furniture is arranged in the home or classroom, but peer pressure and interactions with others. And, the general environment has greater influence on development and learning of the young mind than some might think. Environmentalist learning theory is the understanding that the child’s environment shapes learning and behavior. It is also thought that behavior and learning are reactions to the environment. This perspective encourages families, schools, and educators to understand the child develops and learns new skills in reaction to items she finds around her. Psychologists such as Albert Bandura found through observational learning, that the young child will observe and copy behaviors of others, leading to decision-making skills and development. Another that finds the environment as an important factor in learning and development of the young mind includes Julian B. Rotter. His social learning concept focused on the idea that personality represents an interaction of the individual with his or her environment. Along with taking into consideration the individual’s reaction to the environment, the individual’s experience plays a role, too. The combination of the environment, the individual, and her reaction encourages behavior and learning. When the child is in an environment not conducive to learning, she will not learn to her best abilities. When the environment is altered to encourage greater learning, her educational opportunities increase. Whether in the home or classroom, creating an environment conducive and supportive of learning aides in the young mind’s evolution to greater knowledge. Lighting: Dimly lit areas make reading or studying challenging for young learners. Keeping areas that are designated for play or learning well lit encourages positive learning skills and habits. Light deprivation not only affects learning but can also lead to depression in children. Music: Incorporating music in the educational environment or home encourages memorization skills as well as creates comfortable and enjoyable surroundings. 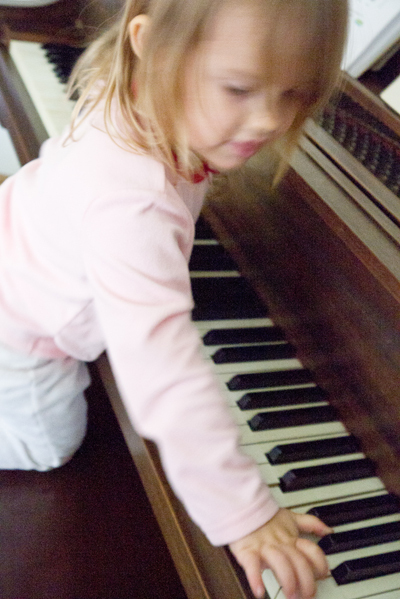 Along with listening to music, including musical instruction or instruments in a learning environment offers the child the opportunity to explore the connection between math and music, along with self-expression and emotion. Furniture Arrangement: The way a space is arranged and created for learning affects those within it. In the classroom, the furniture arrangement not only reflects the teacher’s style but also encourages the child to explore and react to her environment causing learning. Creating an arrangement, which offers eye contact with children is beneficial as well as creating quiet corners and work areas. Arranging informal learning areas is also an educational opportunity in either the classroom or home. Temperature: When a child is too warm or cold, they may not feel motivated to learn. Keeping the learning environment at a base temperature offers the child the ability to learn what her internal temperature is, and how to compensate. Encourage a child that often seems cold to bring an extra sweater to leave in the classroom or have available at home. Allow warmer children to remove clothing as needed. Media: Turning the television off, as well as video games and computers, during learning times encourages the child to use her own skills for problem solving and learning. Using the television as a babysitter or learning tool is not always effective and does not offer human interaction beneficial to learning. Model Positive Behavior: As the saying goes, “monkey see, monkey do.” When the child sees an adult behaving a certain way, she wants to emulate and copy. Avoiding drinking, smoking, or using harsh language around children in any type of environment creates positive modeling and promotes good behaviors. Eliminate Unnecessary Noise: Loud noises are not beneficial to the young learning mind. Help encourage learning by turning off or removing items that create loud noises. This way the child feels nurtured and encouraged to learn without disruption. Take the time to consider the environment when considering the learning and development of the young child. Simple environmental changes offer wonderful results.